This recipe for Easy Grilled Shrimp on your Foreman Grill is indeed one of the easiest and tastiest recipes you will can make. Grilled shrimp can be served any number of ways and this basic recipe will get you started. 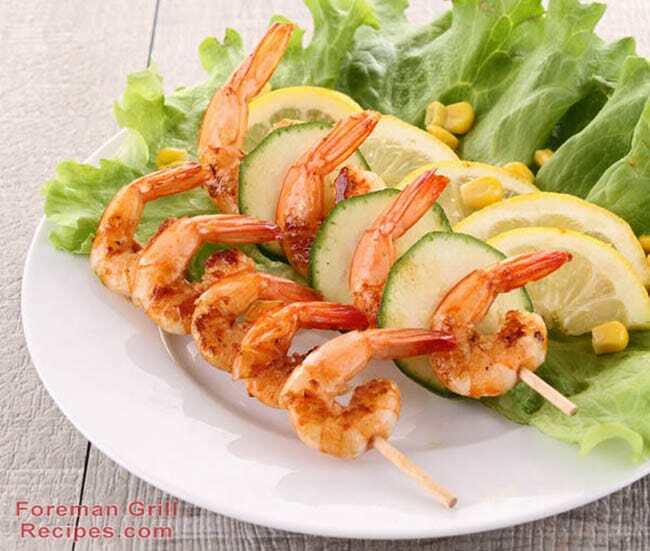 Enjoy this perfect grilled shrimp as prepared, or with any other variety of other dishes including salads, wraps and more. Enjoy! Make sure shrimp is shelled and deveined and placed in a ziplock bag with all the other ingredients. Coat the shrimp well with all the ingredients and place in fridge for 30 minutes to let all the flavors penetrate the shrimp. A light brushing of olive oil on the grill might be a good idea. Though the Foreman Grill is non-stick, shrimp can become very sticky so the oil will make cooking and cleanup much easier. Preheat your George Foreman Grill for at least 5 minutes on high (if you have temperature controls). Place shrimp on the grill, close cover and grill for approximately 3-5 minutes. Shrimp will be firm to the touch when done and have an opaque color.